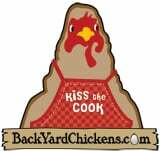 BackyardChickens.com – This is our sister site. BYC is the best place to find everything you need to begin raising a backyard flock. Come join our chicken forum! waynesthisandthat.com – Wayne’s got a TON of great stuff that’s nifty on his site! 175 pages, 700 images and 600,000 words covering 68 subjects!